Your soulmate comes when your soul is ready. Perhaps, after lots of heartbreaks you vowed to yourself never to get hurt again. Or perhaps, after you’ve guarded your heart for so long, you have developed a big fear to even give someone a chance to break your heart. But finding the right person to fall in love with is worth every heartbreak. Trust me. It’s a lot better to get your heart broken everyday than live your whole life without giving someone a chance to fall in love with. And the good news is, there is a right person for everyone and you deserve to find it. The truth is, true love, comes at the place and time you least expect. There are a couple of signs you can watch out for. In most cases you instantly now when you meet them. There’s just this happiness in the air or a feeling that somehow you’ll find that soulmate of yours. So you can follow that feeling. However, when your Soulmate is near, your spirit senses their energy and eventually gives you signals. 1. You have romantic dreams. 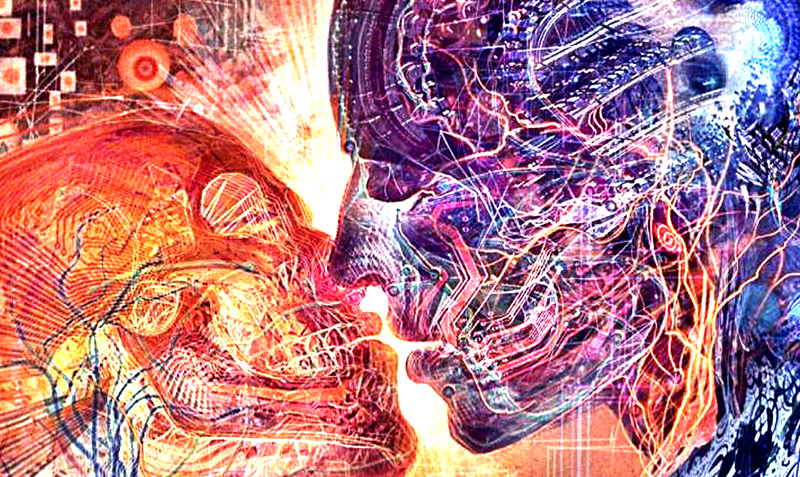 Before this cosmic romance unfolds in your reality, you might experience it first in your dreams. You might not remember the vivid details of your dream but the good feelings it brings will be with you all throughout the day. if you feel a sudden urge that you need to keep yourself attractive inside and out that’s a clear sign of the inspiration being close to you soulmate provides. You give focus to personal development because you feel you need to attract someone. It’s a positive thing that you put your energy into this. As you improve yourself, your soulmate is also doing the same. In fact, that’s how both of you walk towards each other. 3. You begin to see your purpose in life with clarity. The nearness of your soulmate makes you see your life’s purpose really clearly. What seemed to be an empty existence, suddenly has a meaningful direction. You feel alive and excited. Doing what you were meant to do makes you feel whole and satisfied. Those emotions are the light that the presence of your soulmate inspires and is attracted to. 4. You start to see love all around you. Everywhere you go, you see lovers holding hands or cuddling each other as if the whole world belongs to them alone. You become aware of the love discussion on television and even your social media feeds are filled with love birds. On the radio or even as you walk into a mall love songs start playing everywhere you go. This might irritate you at first, but it does not happen to tease you instead, love wants to show up to you so you can accept it in your life. 5. You find the essence of your ideal partner. You already have a blueprint of your future relationship. However, it’s filled with details of how your ideal partner should look like, how they should talk like, etc. Though, at times, what you really want collides with what appears to be your “wants.” This is where wrong relationships are coming. But once you gain clarity with what it is that you really want, the essence between all those details, and initiate the search towards that, it will find you. Your soulmate will find you. For example, you might think you want your ideal partner to have a blonde hair, to be fit, to be outgoing and love animals, but the essence of what you really want might be a sense of health and positivity for your partner to radiate with. Instead of looking for a blonde person that loves animals, start looking for places where people might give you this sense of health and positivity. That’s the direction where you will find your soulmate. 6. You open yourself up to new opportunities. Because you feel prepared to welcome the new love in your life, you open yourself to more opportunities of meeting new people. Receiving invitations from family and friends happens quite often. Socializing and leaving your comfort zone will give you more chances of meeting your true love because it rarely knocks on your door. Having a desire to open yourself up to new opportunities might be your subconsciousness trying to free you from your comfortable prison and help you find the love of your life. 7. You feel your energy levels get higher than usual. You feel the nearness of your soulmate in a way that your energy levels get high. You unknowingly feel the positive boost it has on you because your spirit is what senses them first. You might wake up in the morning and feel a higher energy than usual. You might feel happy for no special reason. These are all signs that someone right for you is close. 8. You finally see the lessons your previous love life brings. Things are becoming clear and you no longer see the mistakes of your past relationships as against you. Rather, you start to see them as experiences you can draw lessons from. You know that you’ll no longer commit the same mistakes again. You seem to know the right things to do should you enter into a new relationship with the right person. This is a sign that you are healed from the past heartbreaks and you can happily fall in love again.